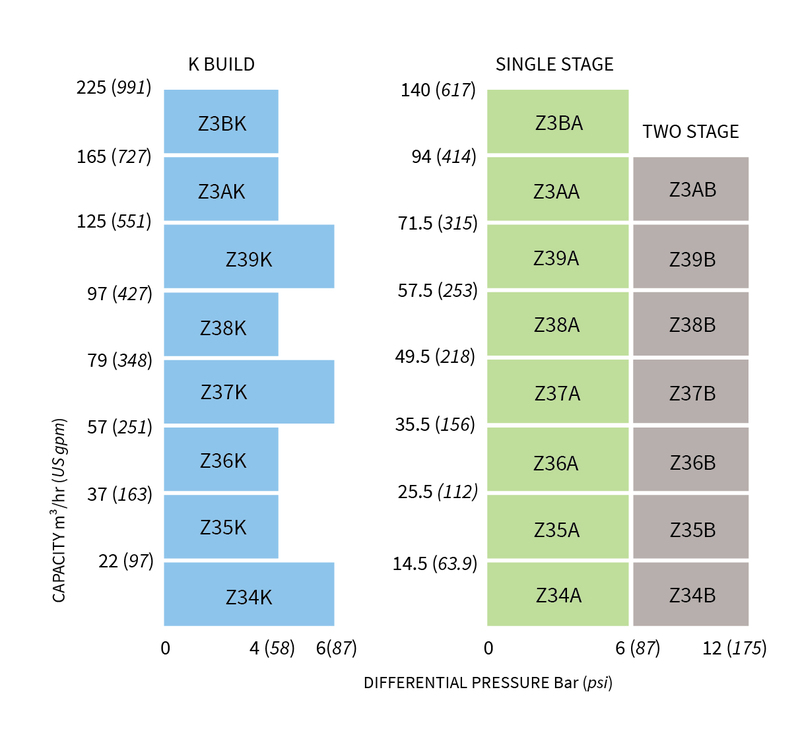 For the newest iteration of our EZstrip™ maintain-in-place progressing cavity pump we designed new features to make maintenance even more user friendly than before. In addition to our patented split suction chamber we’ve removed the tie bars, designed a new positive torque split coupling rod, and added in a captive support foot. That means faster, easier maintenance for you. The EZstrip has been specifically designed to provide a quick and easy way to disassemble, de-rag and maintain a PC pump in-situ, eliminating the costly maintenance and down time that servicing can often cause. Quickly and safely remove the full drive train including rotor, stator, shaft, rod, and seal in minutes without physical electrical disconnection. EZstrip Access covers– provide 360° access to coupling rod and drive shaft for easy inspection. The smooth profile Positive Torque Split Coupling Rod alleviates potential ragging issues, and reduces maintenance and assembly times. Tie-bar-free design. EZstator clamps lock the stator securely into place. 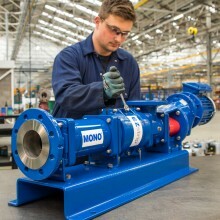 This further reduces stator removal time by over 50% and improves the safety of common maintenance operations. Captive support foot. The fixed support foot and stator clamp assembly further aids rotor and stator removal. Available in cast iron or stainless steel with a choice of rotor and stator materials to suit individual applications. Pump requires only a wrench and an allen key to maintain. Operational parameters unaffected since design has no effect on flow and pressure. Suction and discharge ports remain connected to the pipe work. Easily upgrade from any model PC pump, or retrofit an existing EZstrip™ pump model. Compatible with new pumps or retrofitted into existing Compact C and B-Range installations. Pre-assembled drive trains available to support faster reassembly times.